Wolf offers a complete line of popular calibers at reasonable prices: Wolf 7.62X39 comes in three projectile configurations including a 125gr. soft point for improved accuracy. Wolf 223 Rem. saves high volume AR-15 and Mini-14 shooters money. Wolf's 223 Rem comes in a variety of economical and high quality loads backed by a 100% performance guarantee. 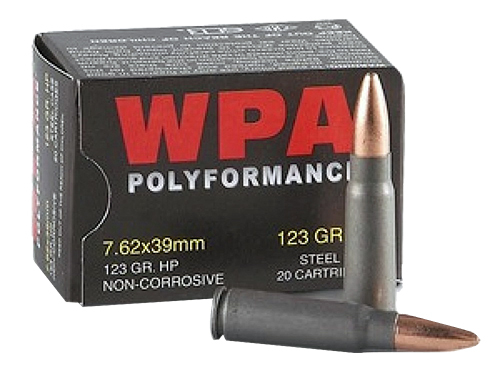 7.62x54R is available in both a 148gr. and 200gr. projectile for Mosin Nagant and Dragunov applications. 7.62x54R "Extra" Match was used to win the International Military games in 1995 and the World Championship in 1996.